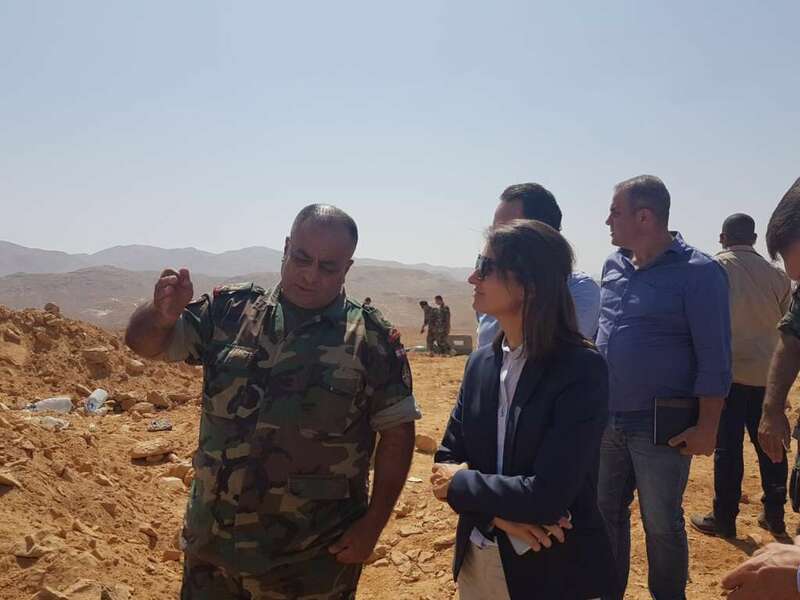 Beirut- The Head of the Delegation of the European Union to Lebanon, Ambassador Christina Lassen, has visited the Lebanese army’s 9th brigade deployed around the northeastern border town of Arsal. Lassen also held meetings with the head of Arsal Municipality, Bassel al-Hujairi, and with UN agencies representatives. The visit was an opportunity to pay tribute to the Lebanese army “for the successful mission conducted against extremist groups in the area and to renew the condolences for the loss of Lebanese soldiers,” the EU delegation said in a statement on Thursday. Lassen reiterated the EU’s full support to the Lebanese army’s mission in fighting terrorism and to secure Lebanon’s borders. “The EU will step up its long-term support for Integrated Border Management. The EU is and will remain engaged to support the sovereignty, stability, territorial integrity and independence of Lebanon. The EU is supporting Lebanon in its fight against terrorism,” the statement quoted Lassen as saying. Following the visit to the 9th brigade, the diplomat met with Hujairi, where she took stock of the situation of the local population and refugees in Arsal and reassured him of EU’s support. “I am very glad to visit Arsal at this particular moment. I am aware that the citizens of Arsal have been through very challenging times recently. We hope that with the successful military victory against the extremists a new chapter can begin in this border region,” she said. Lassen also acknowledged the challenges to public services in the town posed by the Syrian refugee crisis and reiterated the on-going EU assistance for the rehabilitation of infrastructure and the provision of services. The ambassador and municipal chief were later joined by representatives from UNDP and UNICEF to discuss concrete support measures, particularly for the rehabilitation of waste water networks in the area.